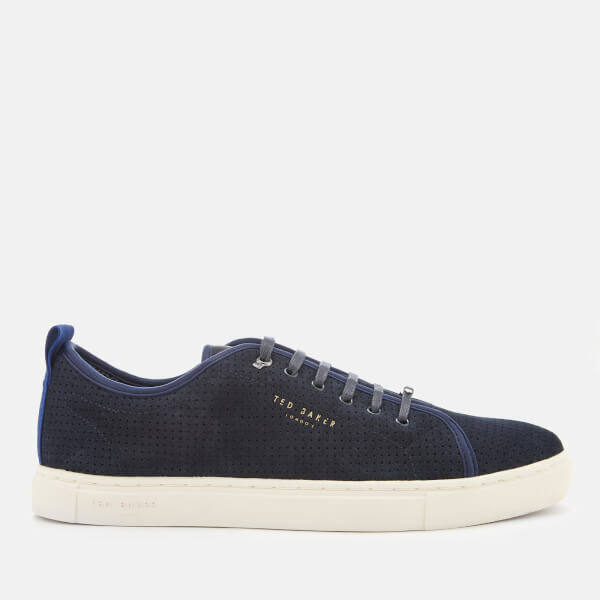 Men's low top trainers from Ted Baker. 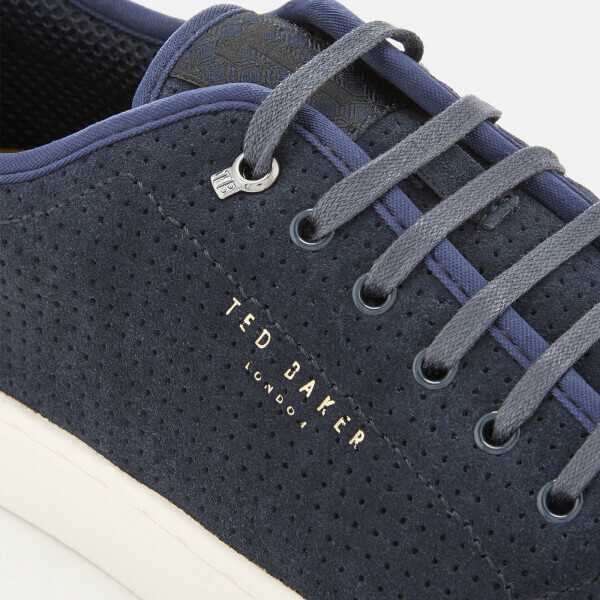 Crafted from perforated suede to create a breathable upper, the 'Kaliix' tennis shoes feature a rounded toe, classic lace-up fastening and branded tongue. 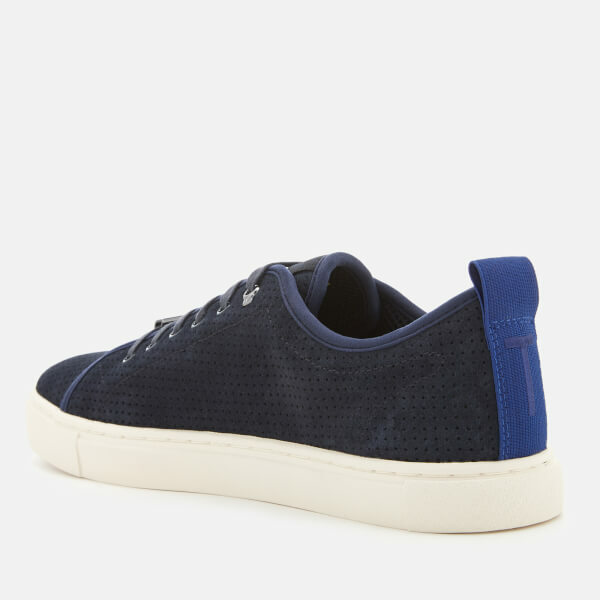 The sneakers are complete with a contrast pull loop to the heel and foil branding to the outside foot. Set upon a durable rubber sole. 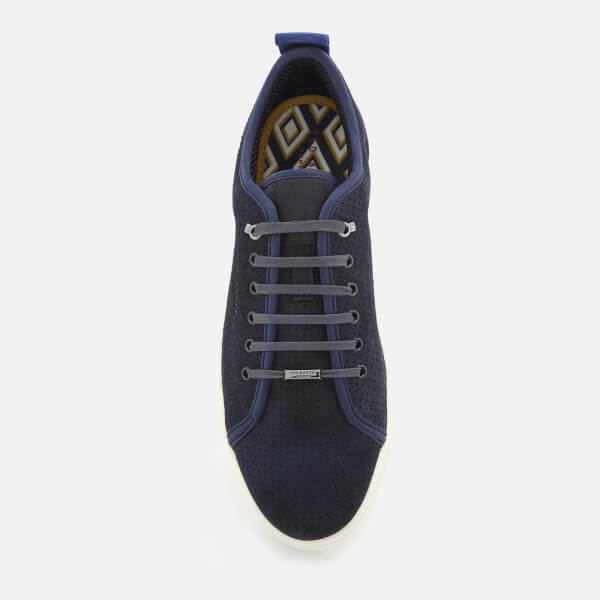 Arrives with an alternative pair of laces. Upper: Bovine Suede/Polyester. Lining: Polyester. Sole: Rubber.